Kerala is an Indian state, has an area of 38,863 km2 (15,005 sq mi) situated on the Malabar Coast of south-west India and the kerala state was established on 1 November 1956 by the States Reorganization Act, and it joints various Malayalam speaking regions. Malayalam is the main language used in kerala states. The Kerala state was created by the combination of three regions the kingdom of Thiruvithamcoore (Travancore), the Kingdom of Kochi (Cochin), and the Province of Malabar. Kerala state is a popular tourist place for its backwaters, yoga, Ayurvedic treatments. The survey of Transparency International on 2005 says that Kerala as the least corrupt state in the country. We have a lot of traditional and cultural arts, such as Koodiyattam, Kathakali, Mohiniyattam, Thullal, Kalaripayattu etc. Hence, kerala information provides you the complete essence of traditional and cultural aspects of kerala and also it includes some other informations that related to kerala arts, kerala culture, kerala tourist place, tours and travels,major tourist places in kerala,best tourist places in kerala, top 10 tourist places kerala, Kerala Tourist Attractions and complete information about the kerala. Koodiyattam is the type of enacting classical Sanskrit dramas, is closely joint to Kerala’s Hindu temples and also it has been recognized by UNESCO as a Human Heritage Art. koodiyattam is th e oldest presented classical theater form in the whole world, it was commenced before the kathakali and most other theatrical forms. It is an offering to divinity. Mythological themes are played. Kootiyattam accurately means “acting together”. 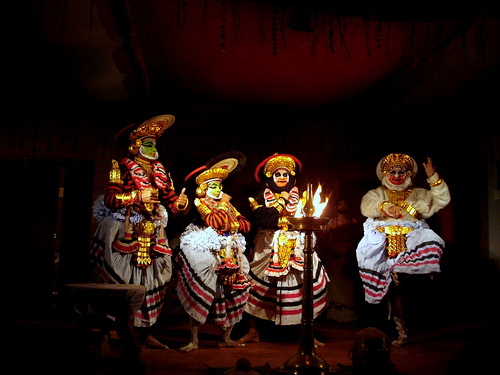 Koodiyattam performed in the Sanskrit language in Hindu temples. , music, painting, acting and dance. It was given its present form by Mahakavi Vallathol Narayan Menon, who was the founder of the Kerala Kala Mandalam. it is the best combination of dance, music, poetry, and histrionics. 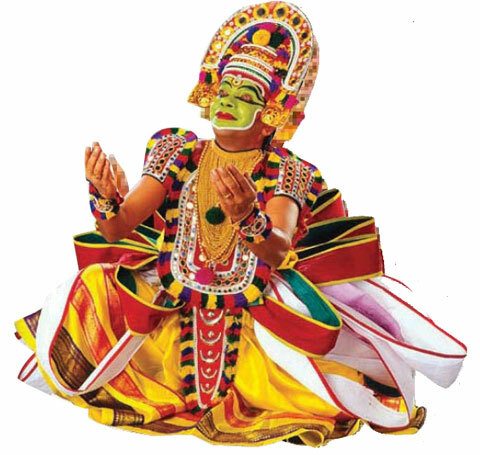 Kathakali dance considered as the ‘first theatre of imagination’ in the world. It includes the better combination of two main factors that is lasya (gentle, graceful dance) and Thandava (Powerfull, energetic dance).The elaborate costumes of Kathakali have become the most familiar sign for Kerala. “Mohini” meaning a woman who enchants onlookers and “aattam” meaning graceful and sensuous body movements. Mohiniattam is performed only by women and is known for its elegant actions and easy but stylish costume. Thullal is the popularized in their simplicity of presentation, with including of great social satire humor. kerala information This great art was established during the 18th century by legendary Malayalam poet Kalakkaththu Kunchan Nambiar. kerala information Theyyam, thira, Mudiyettu, kaduvakali, Velakali, kakkarissnatakam, Chavittunatakam, Maragamkali, kolakali, Parichamuttukali, Bhadrakalipattu, pulluvanpattu and Thiruvathirakali are some of Kerala’s folk art forms. 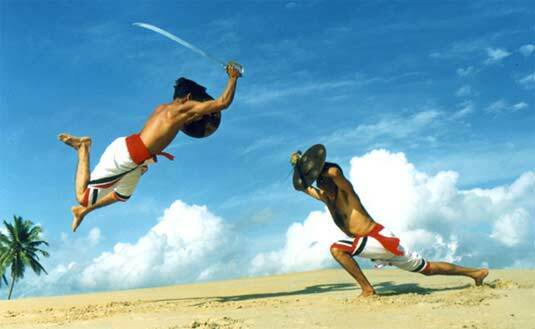 Kalaripayattu is one of the traditional and Dravidian martial art from of the Kerala. kerala information This art was created by the ancient Gurus completely on the basis of the human anatomy and The Nature. What a beautiful blog is this! This blog elaborates the enormous cultural aspects of Kerala. Superb post I really like it…!